Many of our customers come to us looking for content marketing services, though they may not know to ask for them by that name. Content marketing refers to any type of online marketing that uses custom-created content to reach a targeted online audience. The content may be written or it may be in the form of videos. Content marketing is not traditional advertising; instead of using material that is clearly an advertisement, it uses material that serves multiple purposes. For example, a video might entertain and try to sell a product; a blog might inform and try to sell a product. 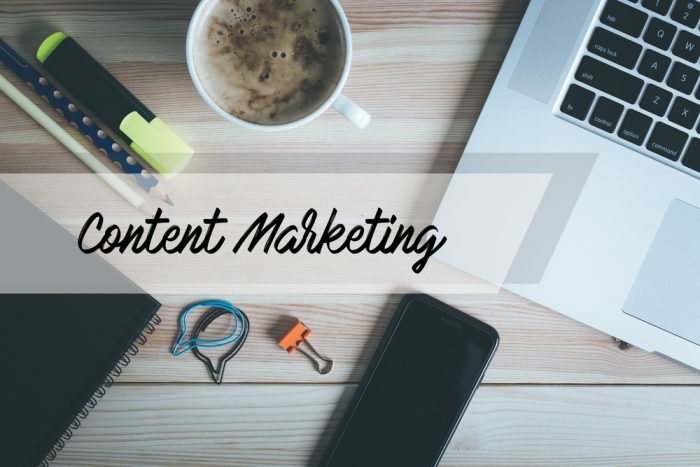 The ultimate goal of content marketing is to attract new customers, but individual pieces of a content marketing campaign may be created to reach intermediate goals. Content marketing is a marketing approach that deviates from traditional advertising. It means providing free, relevant information to your potential customers with the goals of helping customers learn about your product and building a community of users that are interested in your content. This approach, in turn, should create new customers, increase your sales, and help you retain existing customers. The easiest way to explain how content marketing works is to provide you with an example. Think about the last time you wanted to learn how to do something, so you looked it up on the internet and found a DIY tutorial or a recipe. As part of that tutorial, you were introduced to “ingredients” for the tutorial, and some of those ingredients may have been name brands. For example, a recipe may have specified “Pillsbury Crescent Rolls” or a DIY project may have told you to use “Elmer’s School Glue.” The names of the products may have been explicitly mentioned, or they may have been shown as part of a tutorial video. That is content marketing. You received helpful, relevant information, but you also got a nudge to use the featured products. In today’s day and age, we tend to think of content marketing as being digital. While it is true that digital marketing is the main focus of modern marketing campaigns, content marketing can still take more traditional formats. If you have ever been to any type of large convention, then you probably picked up some promotional materials. Promotional materials that are relevant and useful are a type of content marketing. For example, if you are a HVAC company with a booth at a home and garden convention, then pamphlets outlining the steps for start-of-season air conditioner maintenance would be a very inexpensive way to provide content marketing to potential customers. You would then back that up by including a link to your blog, where they can find other helpful DIY tutorials. How successful can content marketing be? Tremendously successful, especially if your product and service is one that lends itself to blogs, tutorials, or other informational types of information. Fortunately, almost every good and service can form the cornerstone of a content marketing campaign. How does Writers Needed Handle a Content Marketing Campaign? The most important part of handling a content marketing campaign for you is truly understanding your company and the products and/or services you want to highlight. That means that we spend time talking to you and learning about your business, but also that we do some research into your competitors, both locally and across the globe if your business has to compete in a global marketplace. We talk to you to find out your ideas for content, but we also suggest our own ideas, based on our research into what your competitors are doing, and where gaps remain. One of the most helpful things we do is help you shift your perspective. Most business owners come to us with their needs. They want a content marketing campaign that will help them build their customer base and raise their sales by a certain percentage. Those are great goals and we keep them in mind while we are working on your content marketing campaign, but they are not the kinds of things your customers are interested in learning. Therefore, we shift the perspective. What type of valuable content does your customer want to learn? What are their customer needs? Once we know their needs, we can develop content that is aimed at fulfilling those needs. Sometimes, businesses get a little worried because great content marketing does provide the customer with valuable information. You want to attract new people to your website? Provide a tutorial for something that they need or want to do, but may not know how to do. Tutorials are extremely popular with people. Sometimes businesses shy away from them, because a step-by-step tutorial telling their customers how to do something might result in a lost sale. This is completely true. However, that tutorial also does a number of things. First, it is honest about the complexity of the process. Many people view tutorials and realize that the project is above their skill level, so they need to call a professional. Second, it builds trust. Because you have been willing to put out free information for potential customers, which they know could have resulted in your losing a sale, they know that you are looking out for them before they ever reach out to you as a customer. Third, it gives you an opportunity to sell parts, even if they do not need services. Remember, the goal with content marketing is not for any single piece of marketing material to translate into a sale, but for it to all combine as a community that attracts more potential customers and makes people more likely to use your service or buy your goods. The other important component of content marketing is consistent and continuous delivery of high-quality content. What that means depends on what types of digital media you are using. If you read a blog that is updated weekly, then you remember to visit it for new information. However, a Twitter account that sends a single tweet each week quickly gets buried. At Writer’s Needed, we take a team approach to providing you with great content for your marketing strategy. This means that every content order you place has two people working on it: a marketing specialist and a writer. The marketing specialist is your main contact. That is the person who talks to you, finds out about your business, talks to you about your goals, and gets some ideas of what you want from your marketing campaign. Then, the marketing specialist does some research to find out more about your type of business and come up with venues for content marketing. Once the marketing specialist knows what your content marketing campaign should look like, that is when they bring in the writer. When project size allows it, we try to have a single writer work on your content, to provide consistent branding across all of your digital media. At Writer’s Needed, one thing we know for sure is that it is important to think outside of the box for content marketing. That means that we use whatever tools are available to help create your content. For example, we use analytics to ensure that all of our content is SEO. While our focus is on providing written content, we can provide scripts for videos and other types of digital content. We are happy to work with other digital content providers, like videographers, to help you craft your content marketing campaign, and can provide referrals to great partners if you are not already working with someone to create professional-quality videos.